One of the “exclusive” services of SCS Machinery, Trading and Business Center is its spare parts management. Any companies specialized in machinery industry could be entitled to take advantage of this service after acquiring membership at the Center. The common process regulates that each item needs to complete customs clearance respectively. 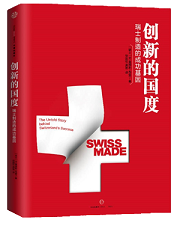 SCS professional personnel helps to jointly manage the spare parts stock with clients, and thus Swiss companies can stay focused on their core businesses.